At first glance, the Biewer Terrier looks like a colorful tricolored Yorkie or a hybrid mix between a Maltese and Yorkie (Morkie). 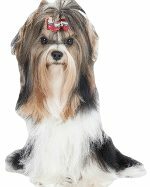 It is neither and to prove it belongs to a breed of its own, the American Kennel Club welcomed them into their Foundation Stock Service Program (FSS) in April of 2014 announcing that there were enough genetic differences to set them apart from the Yorkshire terrier. Here is a modern breed in the making right before our very eyes. 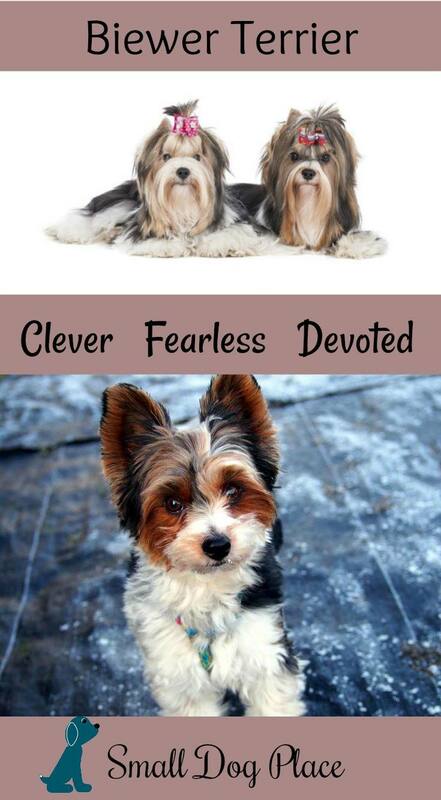 As a breed distinct from the Yorkie, there are still plenty of similarities. One major difference that you will notice immediately is his upturned tail held over his back, covered with a rich plume of hair. As you known, in American, most Yorkies have docked tails, but the Biewer keeps his full tail as part of the standard began in Germany. As in many European countries, the practice of docking tails and cropping ears is banned and the breed’s founders in the U.S. determined that it was in the best interest to maintain this look. 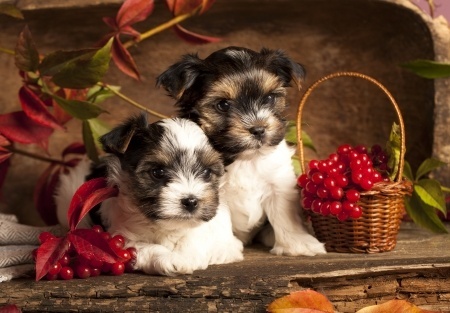 A puppy named ‘Scneeflocken von Friedheck’ was born to a mating from the Mr & Mrs. Biewer’s, Yorkshire Terriers, ‘Darling von Friedheck’, and ‘Fru Fru von Friedheck’. This was in 1984 in Hunsruck, Germany and what was interesting was these two purebred Yorkies produced a puppy with piebald markings. Piebald refers to large asymmetrical black and white patches seen on an animal’s back. These markings occur in dog breeds, as well as other animals such as deer, hamsters, and even squirrels. The Biewers loved the new look. They named these Yorkies with white markings "Biewer Yorkshire Terrier à la Pom Pon.” It was from these breedings the Biewer Yorkie began. The couple continued to breed these dogs until the colorations became part of a new breed. 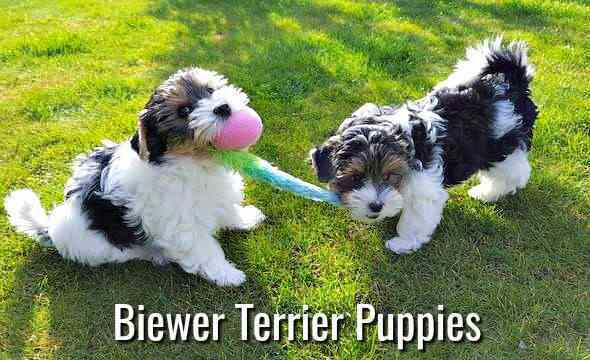 They were first imported to American in 2003 and the Biewer Terrier Club of America, Inc. was formed. The American Rare Breed Association (ARBA) recognized the Biewer in 2008. The BTCA began work with geneticists from Mars Veterinary in 2007. They hoped to prove for the last time that the Biewer was a distinct breed. They were able to do this and information about this research was presented to the AKC. In April 2014, the AKC recognized the breed and entered it into its Foundation Stock Services Program (FSS) with a toy group designation. When a four-pound Biewer tries to intimidate a 120-pound Great Dane, it is clear to any onlooker, that the smaller canine has little understanding of his actual size. Human parents must be ready to step in and protect the Biewer from himself. They are fearless, devoted, and ingenious at finding fun things to entertain themselves and you. They do make excellent companions, as they are affectionate, many loving to warm a lap or two. Owners need to be aware of their desire to lead the pack and nip it before it gets out of hand. 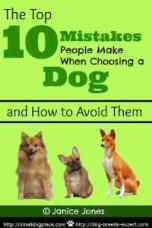 If this happens, the dog can be yappy, aggressive and even suspicious, all the signs of Small Dog Syndrome. Biewers are smart and can be trained if you find a way around their stubborn side. Housebreaking is usually more difficult with these dogs, but can be accomplished with persistence and consistency. They will provide an adequate watchdog service if owners socialize them, teach some basic manners and refuse to allow these adorable dogs to take over the house. They are great with children, gentle and playful. Their small size though puts them at risk around small children who have not been properly trained to handle such a small dog. They do best in household with older children, couples, and singles. Even though they are a terrier breed, they do not display the terrier tendencies such as a strong prey drive or fierce digging tendency. While not ruling out the possibility, they are more gentle, homebodies that prefer the company of humans to the chasing of every rodent whose scent they catch. They are an active breed, but can obtain most of their exercise needs by a daily walk, romp around the yard and indoor bouts with a playful zeal. They tend to follow you from room to room, so some of the exercise can be met in this way also. If the dog does not get enough exercise to meet his needs, you are likely to see some behavioral problems forming such as chewing, barking, or worse. Some have even been known to pace like a lion in a zoo cage. 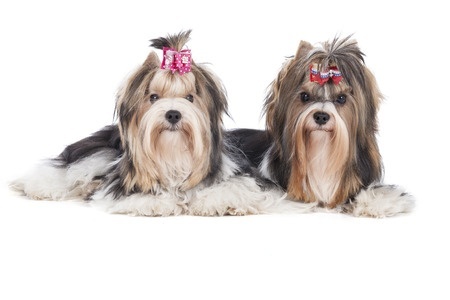 Grooming the Biewer Terrier is very similar to that of the Yorkie. They each have silky hair that continues to grow. Pet owners can opt to keep the hair short, making grooming much easier. Show dogs’ hair continues to grow and more work is involved in keeping a show coat at its best. Even Biewers with short hair require frequent brushing and combing to prevent mats or tangles. Hair should always be misted with a spray conditioner prior to brushing. Using a brush on a dry coat will break the hair. Bathing is also recommended as often as weekly. Always brush the coat prior to bathing. Beyond brushing and bathing, they will need to have their teeth regularly brushed, the nails cut and hair between the paw pads trimmed about every 2 to 3 weeks. Both Yorkies and Biewers’ ear hair continues to grow and the weight of it will pull the ears down from its usually erect position. The hair should be cut or clipped from about 1/3 of the ear to the tips. The edges can also be trimmed to present a neat appearance. Many pet owners prefer monthly visits to the professional groomers who will take care of most of these tasks, giving them more time for play and cuddling. Other than that, these dogs like all dogs need their nails clipped periodically and their teeth brushed. While a healthy breed, the Biewer suffers from many of the same ailments that plague Yorkshire Terriers. Three of the most common inherited problems common to both breeds include Patella Luxation, Liver Shunt, and Heart Problems. Conscientious breeders are working to eliminate some of the genetic problems under their control. This is an extremely common problem in Biewers, Yorkies and other small dogs. The kneecap or patella fits the groove of the large leg bone and can slide up and down as the leg bends or straightens. When the kneecap slips out of the groove, it has Luxated, thus Patella Luxation. This can cause pain and lameness as the dog matures. This very serious problem can’t be ignored. In utero, blood bypasses the liver through a small ductus leaving the placenta responsible for cleansing the fetal blood. Once born, blood is directed to the liver where all the impurities are cleansed. If the ductus that is present before birth does not close, blood never enters the liver, so it can’t do its job of filtering the blood. Toxins build up in the body. 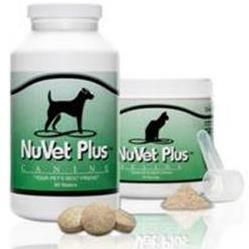 It is a treatable problem but requires special diets and possibly surgery. Prevention is the best way to solve this condition. This is the domain of the Biewer Breeder. Patent Ductus Arteriosus is a condition present shortly after birth. While the puppy is in the uterus, a small blood vessel known as the ductus arteriosus connects the pulmonary artery (carries blood to the lungs) and the aorta (takes blood to the body). While, in utero, blood bypasses the lungs through this ductus, but once the puppy is whelped, the lungs begin to function and blood begins to flow to them. The ductus arteriosus closes shortly after birth. If it does not, the dog has Patent Ductus Arteriosus. There are probably other issues, but the breed is so young that the extensive research has yet to be conducted. You can get a good idea of health concerns of Biewer Terriers by looking at those diseases that occur in Yorkshire Terriers. Beyond the inherited diseases, tiny dogs are also susceptible to Hypoglycemia. This occurs when blood glucose level drops below normal limits and can cause tremors, in-coordination, and even seizures. Dental problems can also occur such as a poor bite, retained baby teeth and tarter buildup. There is not much that can be done about the bite, but you can prevent many problems through regularly brushing the dog's teeth.